This shop has been compensated by Collective Bias, Inc. and its advertiser. All opinions are mine alone. Minions © 2015 Universal Studios. All Rights Reserved. “Mott’s is a registered trademark of Mott’s LLP.” #MottsAndMinions #CollectiveBias. Did I tell you that for Mother’s Day we actually went to see a movie, with the ENTIRE family! I has been awhile since we took all of the kids to see a movie. It was wonderful and we had such a good time!. 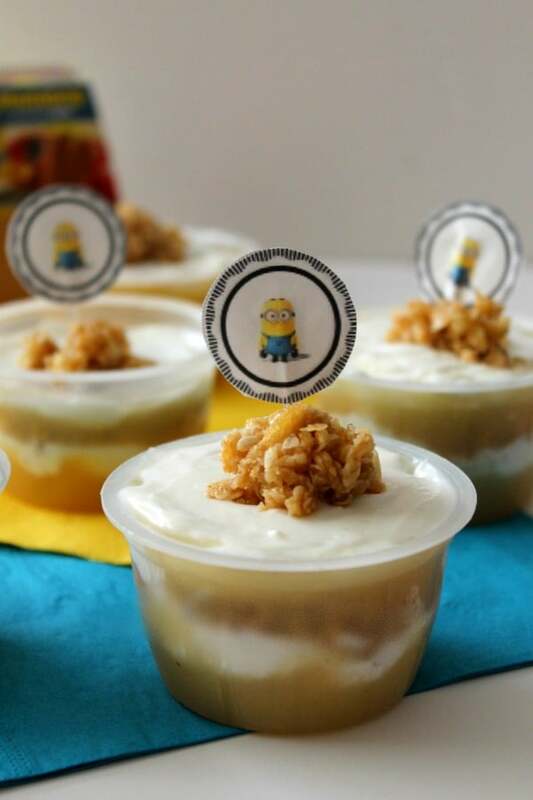 Well lucky for us we do not have to wait for any movie to come out before we can enjoy these Cinnamon Applesauce Parfaits! 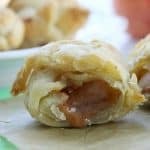 I decided to use applesauce to make a fun snack for the kids. We actually had it twice. Once for breakfast and once for snack! 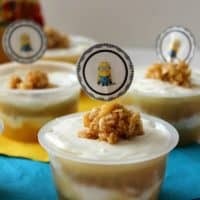 They loved it and the cute applesauce cups! I went to my local Food Lion and was actually pretty surprised on how many variations they had to chose from. I chose the cinnamon apple sauce that is a excellent source of vitamin C and because that is one of my favorites and I really wanted the kids to try it out. Pouches are perfect for on the go! Quick and easy snack time parfaits! In one serving cup add 1 tablespoon applesauce, then 1 tablespoon yogurt, then 1 tablespoon granola, then 1 tablespoon applesauce, then 1 tablespoon yogurt, then a sprinkle of granola on top. Repeat these steps in the remaining 5 cups. 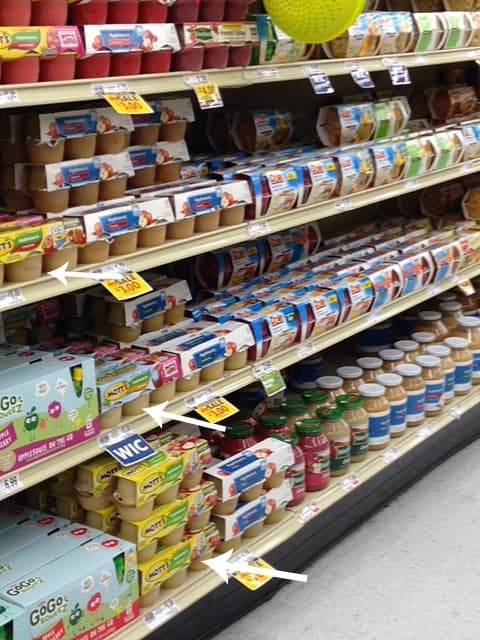 What crafts would you like to make with your applesauce cups? 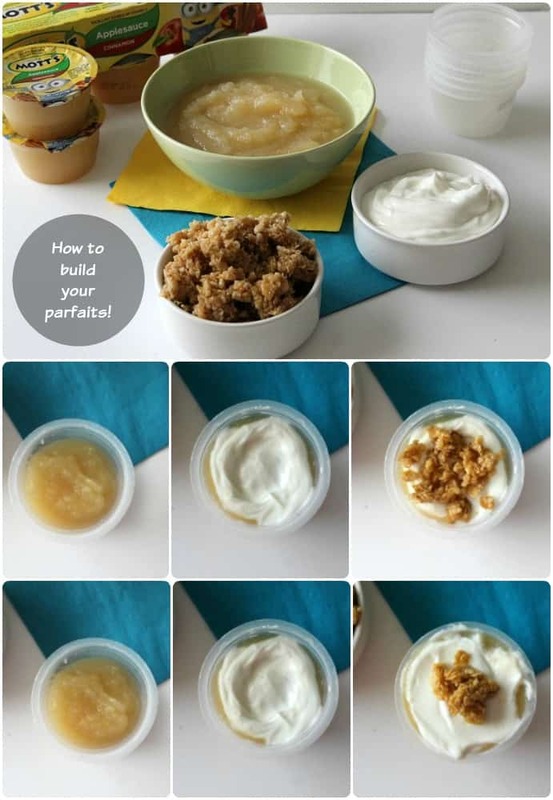 It was so easy to add my parfaits right back into their containers. Also right now you can even head over to Mott’s to find lots of fun and games! 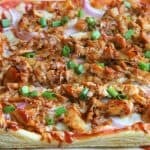 What will you make first? Oh my gosh, these are so cute! What a fun idea. 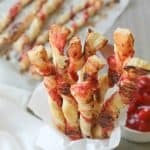 These are the perfect snack for kids! 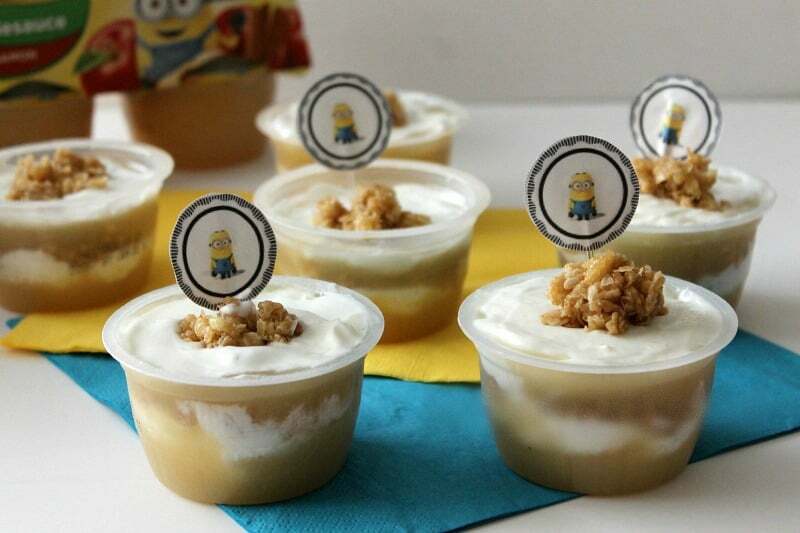 These applesauce parfaits are so adorable! My son loves the Minions so I can’t wait to look out for the Mott’s snacks! These are soo cute and a great idea!! This dessert is adorable! They are so fun! These are so cute and look so darn good! marcie recently posted…Easy French Style Egg Salad and a Maille Giveaway! Ah how cute are these? 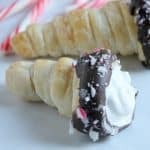 Such a great snack idea!